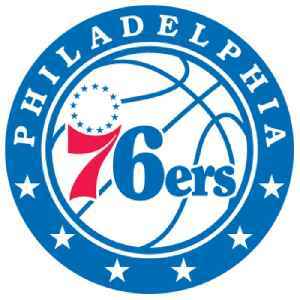 The Philadelphia 76ers are an American professional basketball team based in Philadelphia. The 76ers compete in the National Basketball Association (NBA) as a member of the league's Eastern Conference Atlantic Division and play at Wells Fargo Center. Founded in 1946 and originally known as the Syracuse Nationals, they are one of the oldest franchises in the NBA, and one of only eight to survive the league's first decade. SportsPulse: Jeff Zillgitt breaks down the action of a wild Tuesday night in the NBA playoffs as the Blazers, Sixers and Raptors all advanced. 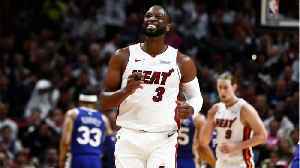 Dwayne Wade played his final game at home in Miami against the Philadelphia 76ers. Wade played for 16 years in the Miami Heat, joining the team in 2003. 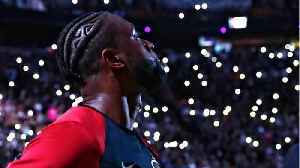 According to Deadspin, Wade’s style was..
Dwayne Wade crashed into Chrissy Teigen and John Legend courtside, sending their drinks flying on Tuesday. And a photographer for the Miami Herald took the perfect shot of the action. Teigen and Legend..
SportsPulse: USA TODAY Sports' Martin Rogers breaks down all the playoff action from Saturday night's slate of games. Ben Simmons and Tobias Harris provided plenty of punch while Joel Embiid sat out to lead the Sixers to a 131-115 victory in Brooklyn. Ben Simmons scored a career playoff-high 31 points, Tobias Harris added 29 points and 16 rebounds and the Philadelphia 76ers shook off the absence of Joel Embiid to beat the Brooklyn Nets 131-115 for a..